Ice skating may be the last thing you will think of when you are in the Maldives. A country that is sunny all year round and had never experienced a shred of snow in the past has just opened its first ice rink at Jumeirah Vittaveli resort. Not only ice skating but also ice hockey are now available for guests of all ages including children if accompanied by parents. Escaping the freezing winter is no more an excuse to miss your skating practices. The first ice rink of Maldives, at Jumeirah Vittaveli, was inaugurated on 20 March 2018 by industry officials and resort staff headed by the General Manager Amit Majumder. 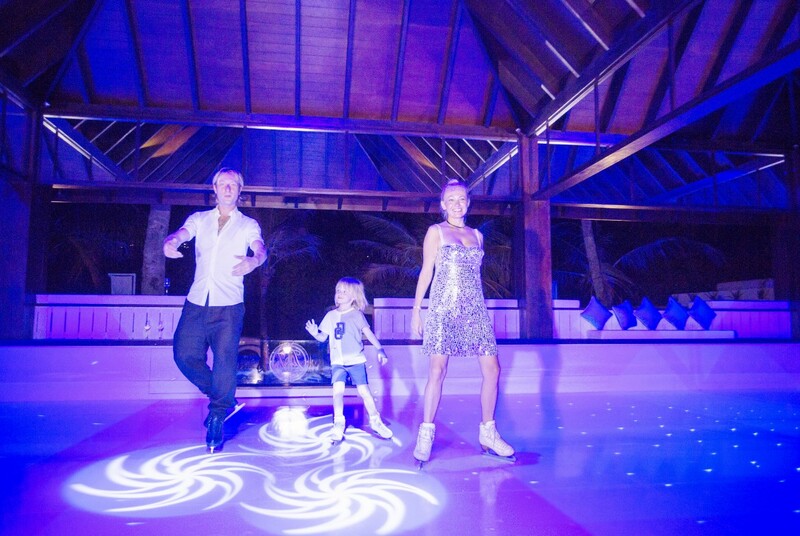 Four-time Olympic medalist and three-time world champion skater Evgeni Plushenko joined the opening and was the first to enjoy the all new winter sport in the sunny Maldives. If you are thinking of packing your winter jacket to use on the ice rink hold it for a while. The ice rink at Jumeirah Vittali Maldives is made with Glice, a novel material from Switzerland which eliminates the need of keeping the rink cold. Thanks to the environment friendly technology. You can auction the winter jacket on Ebay or just keep it at home, Maldives is still sunny. To access the ice rink the prices start at US$75 for the first round of 2 hours and that includes rental of skating gear, a delicious ice cream sundae to enjoy post ice skating, souvenirs and giveaways. From second round onwards the price becomes US$50 and still includes and skating gear and the tempting ice cream. Think ice, feel sunny! 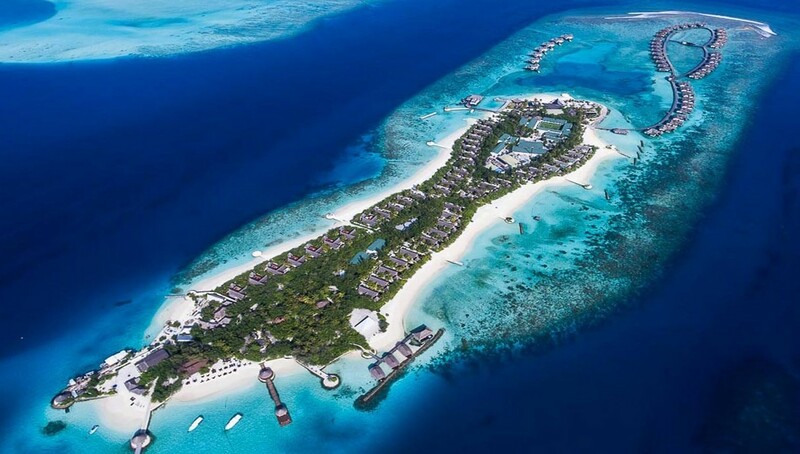 Jumeirah Vittaveli is an ultra-luxury resort that is very close to Velana International Airport. Apart from hosting luxury thrillers the resort is also a popular stop-over destination for private yachts that cruise through the Maldives. 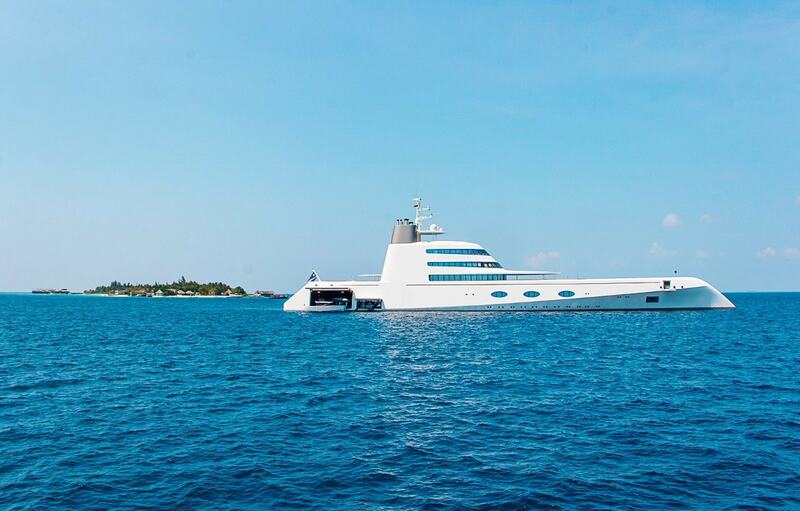 Earlier this year the world famous Motor Yacht A was spotted off Jumeirah Vittaveli with rear shuttle boat compartment wide open, suggesting the guests went off somewhere and Vittaveli resort was the closest island. Skating may be your favourite sports but there are also many other interesting things to do. Do you love Scuba Diving? The resort offers PADI courses for beginners who are curious to try out diving but lacks certification. 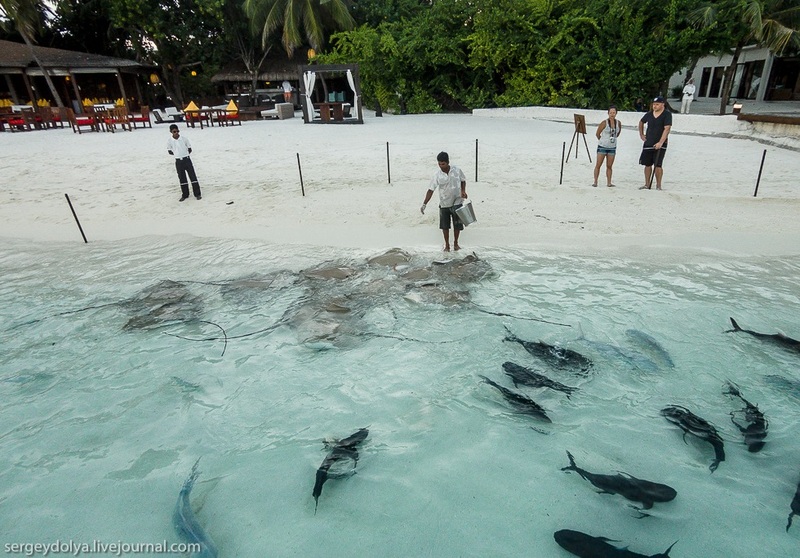 Licence holders can join the regular dives and discover Male’ atoll. The Watersports Centre offers windsurfing, catamaran, water-ski, wake boarding and many more. If you are not comfortable in water Jumeriah Vittaveli also offers a host of land based sports to keep you active while allowing you to relax and unwind on the pristine white beaches.